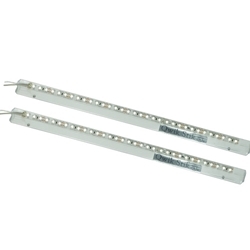 Use for DEEP single sided applications, 12" on center spacing, face to lamp must exceed 9". Use up to a maximum of 18". Great for eyebrow and canopy lighting! Available in all lamp sizes from 12"-96"